Oh my goodness this is lovely! 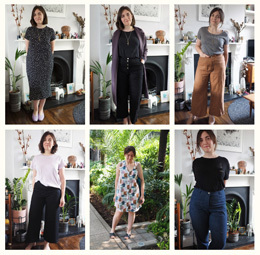 It looks totally RTW – well done! I’m just starting my first coat project and feeling a bit nervous about it so it’s great to see it is indeed possible :) I’ve never heard of weighted cord before though – what is that exactly? Is it dry cleanable? 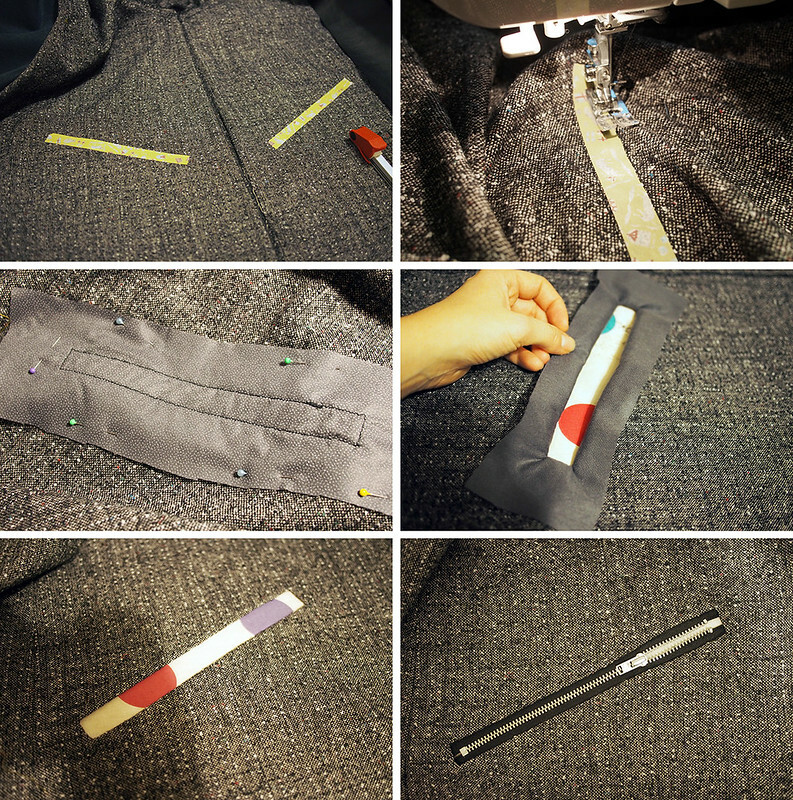 Honestly, coat sewing is no harder than anything else, just take it in steps. Your plans sound great, good luck! 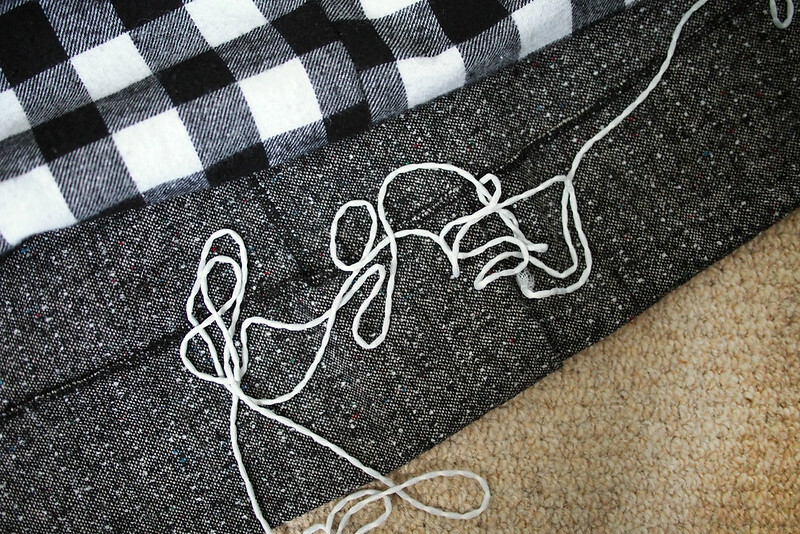 The weighted cord looks like in the picture – it’s got little lead weights along the length to keep the hem hanging nicely. I think it’s more commonly used for curtains; you could also use metal chain. Dry cleaning, I am not sure about though. I will probably only spot-clean my coat. You finished it so quickly!! I love this coat, the details are so cool. 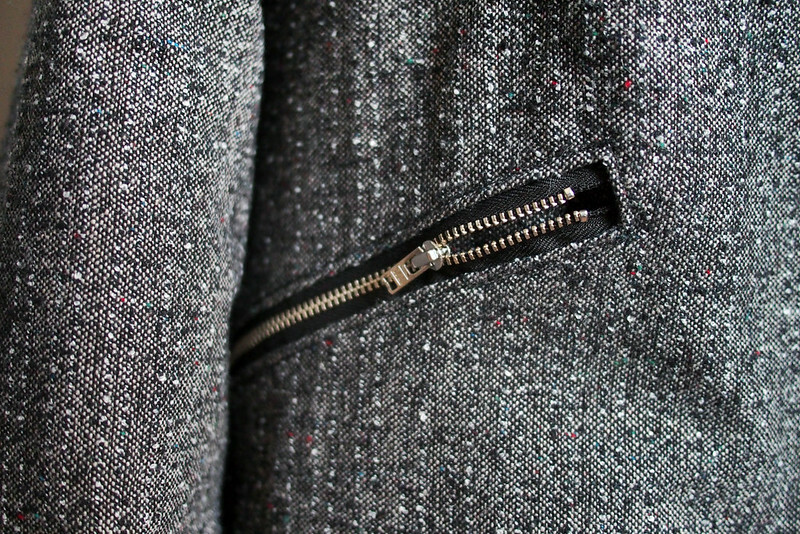 Those welted zippers especially (and hang loop…). The fit is awesome as well, roomy but not too roomy, it looks perfect. I’d never heard of the weighted cord, nice trick! 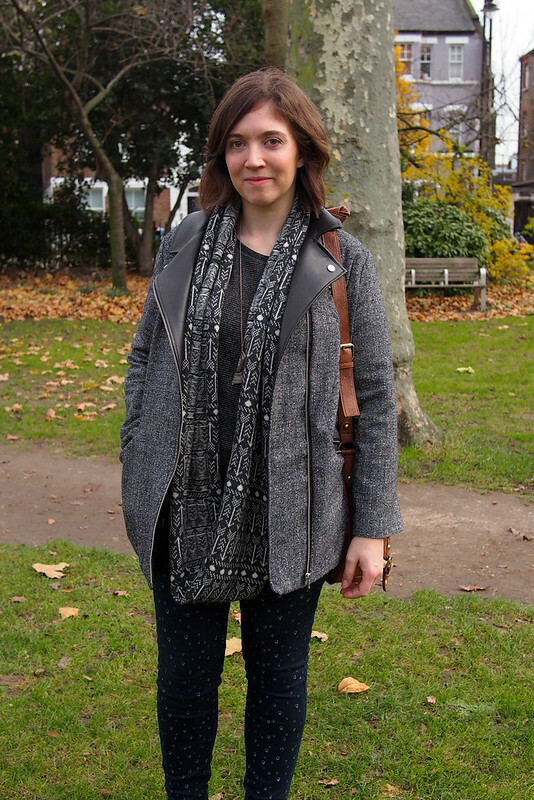 Coats are totally addictive, I couldn’t agree more. 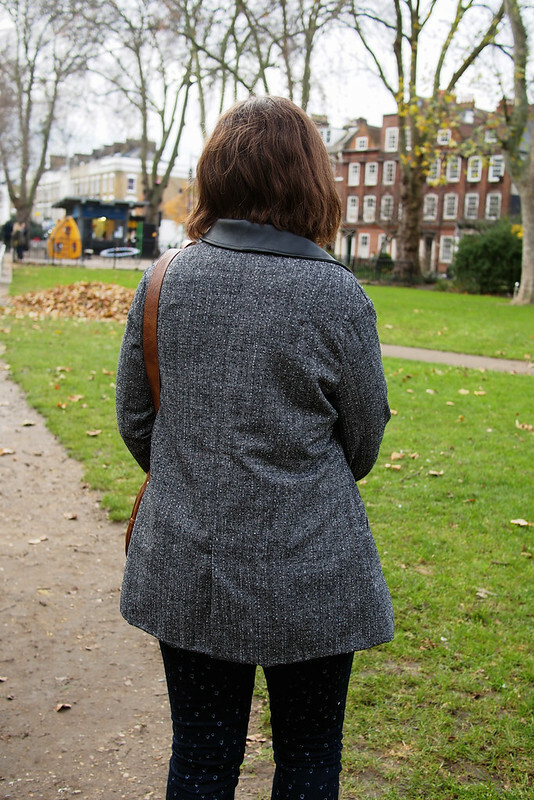 I have the same feeling towards blazers, but have had less success there – I think it’s because my coats so far were in wool, which is such a treat to work with. Maybe I’ll try a wool blazer next. Thank you for the pattern inspiration! 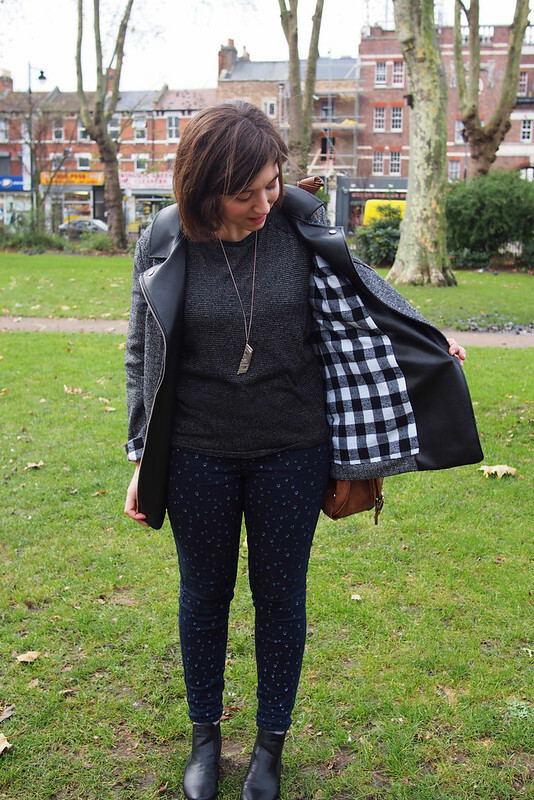 I like sewing blazers a lot (like a quicker coat! ), but hardly ever wear them so it’s a bit silly. 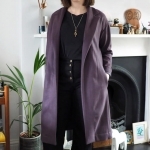 I really, really want a colour blocked coat next. I agree, wool is just lovely to work with. 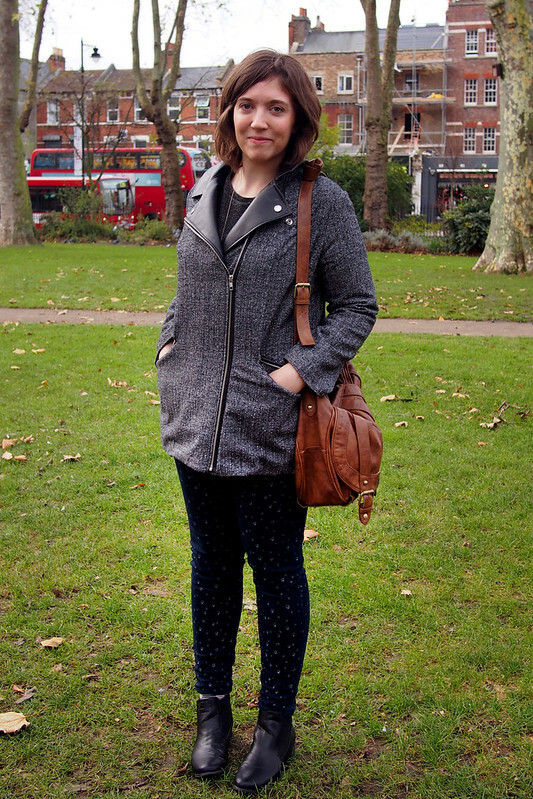 Gosh I love this coat!! The choice of the fabrics is awesome!! Congrats ! Totally agree with the others, it looks really well made and could be from a store! 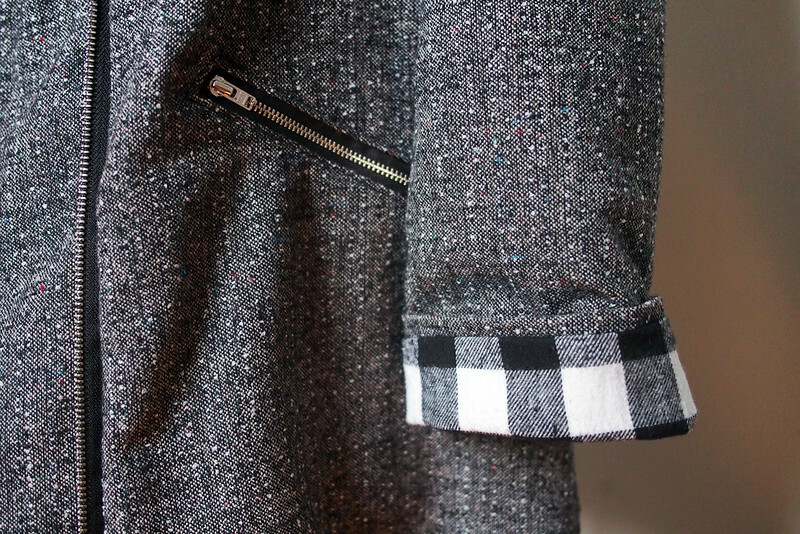 I also think the check cotton lining is perfect, it fits the other fabrics so well and completes the look of the coat. Thanks very much, I do hope the lining holds up OK. I have a feeling I’ll need to replace it in a year or two. Wow! 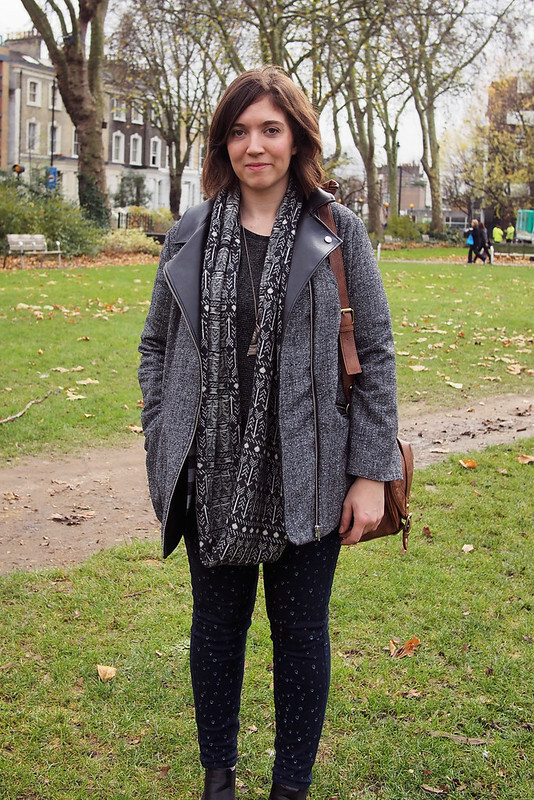 This is such a cool coat! You really have a great eye for design. All the fabrics look great together. Foolish rather than brave I think – with all the modifications I couldn’t really use them. Thank you! WOW!! This looks fantastic!! No wonder you’ve been wearing it every day since you made it! I’m super impressed! 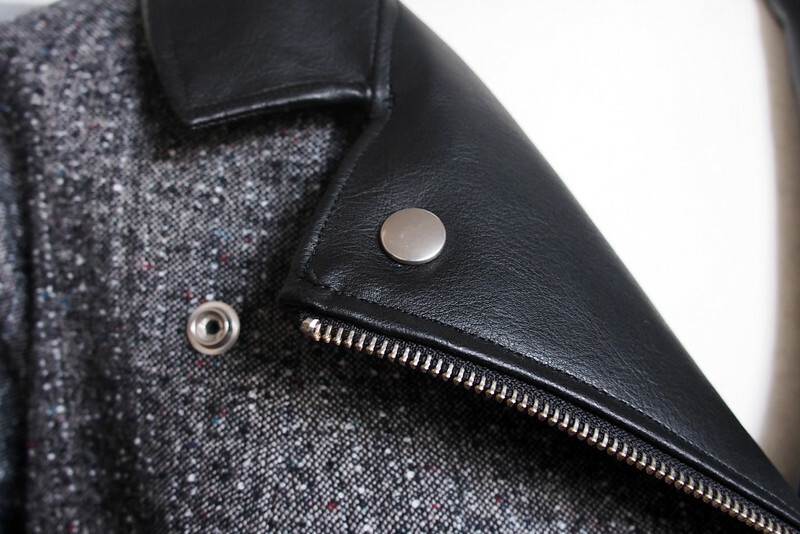 Love the pleather and hardware details too! Great job! This is amazing, looks like its stepped right out of Whistles! Looking forward to seeing your anna dress, it might be the most beautiful fabric I’ve ever seen! This is lovely! It looks so professional and fabulous! Wow wow wow – this is seriously one badass jacket! I need to get my booty into gear to finish my Minoru, but now I totally want a biker jacket haha! If you feel the need to share your welt pocket method I would LOVE to see it. Thanks! I’ll try to draft up a tutorial at some point for the pockets. Every aspect of your coat is superb. This is amazing! Love the fact you ‘wedged’ the front zip in, sometimes the best way to work is to just go for it, sew and hope for the best. All the unpicking and redoing was worth it in the end. 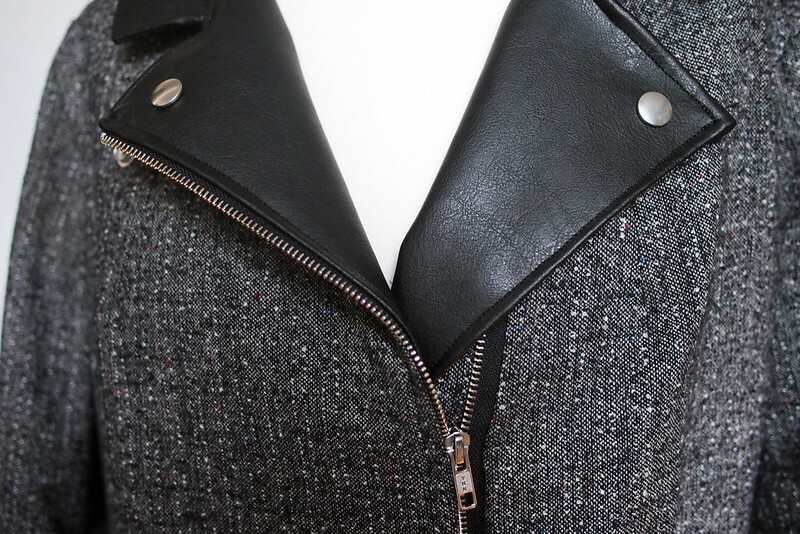 I think the tweed and pleather go so well together too (for some reason the word pleather has always made me giggle…). Newington Green looking lovely as usual! This is so impressive!! 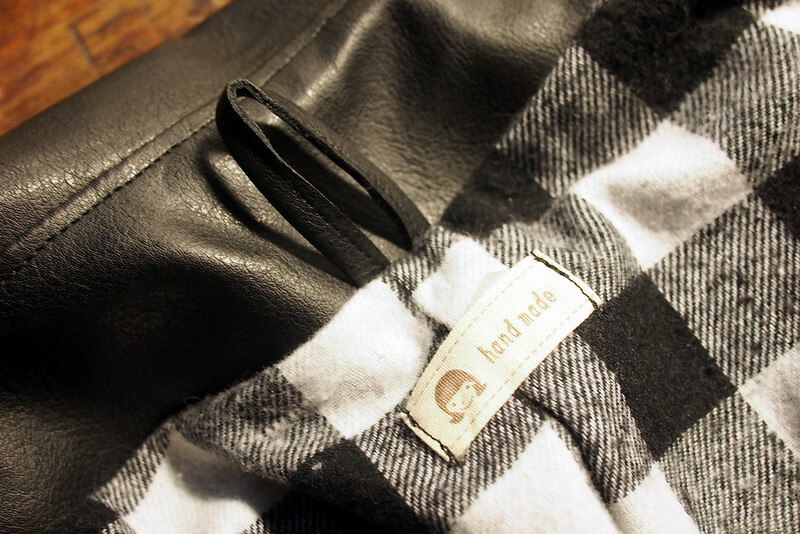 I just love all of the details that you added, the snaps and zippers, and cute, cozy lining. 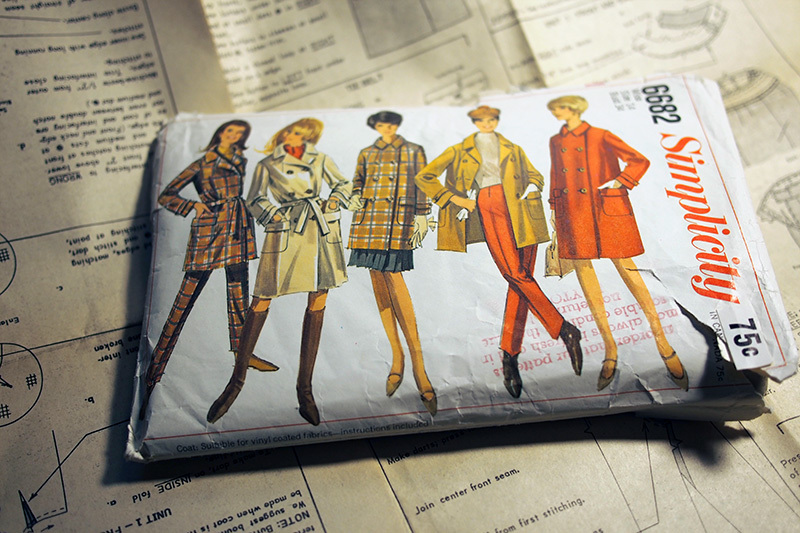 I can’t wait to start my coat project… when all of this holiday sewing is done! Wow, your coat is really gorgeous !